I remember being very young and experiencing an instant polaroid camera for the first time. Watching the images develop right before my eyes was a magical experience. Even then, as young as I was, it was more than just the novelty that stuck with me. The concept of freezing a completely unique moment in time has always been the idea that pushed me further and further into the photography world. Photography truly started for me in college, when I took my first film photography class. The connection that I felt early on was intensified when I stepped foot in the darkroom and started learning those processes and techniques. Film paved the way for my first digital camera and not long after that I was second shooting weddings and teaching myself off-camera flash techniques for shooting portraits. I was a graphic design major and photography always seemed like something that would supplement my design work. After graduating I began my career as a full time freelance photographer, shooting everything from family and senior portraits, to weddings and events. In other words, it was never something that I set out to do. It kind of happened. Describe a difficulty you faced when you first started out, that you had to overcome as a new professional. I was always drawn more to landscape and cityscape photography, but I needed to pay my bills with the work that I was doing, so I gravitated towards portraits. Posing and working with people in front of the camera were not things that came naturally to me, so it took a lot of work to develop my 'persona' behind the camera to get the most out of the models. When did you start using the Fujifilm system and why did you initially choose Fujifilm to be such a huge part of your process? I began with the original X100 after I saw it announced at Photokina in 2012. I know many photographers that have said this same thing, and it really doesn’t make a whole lot of sense to me even now, but I felt this connection to the camera as soon as I saw it. I knew I had to have it. At the time, I was primarily a Canon DSLR shooter, but the idea of being a full-time portrait photographer was really waning on me. I was getting burnt-out because it wasn’t my true passion. So, the X100 became my DSLR escape camera that I took everywhere with me. My whole world began to change and, when I was shooting only for me, I felt like I did when I first started photography. It didn’t take long for me to invest in the X-Pro1 and not too long after, I was abandoning my DSLRs entirely. There was a huge difference once I began to take my cameras everywhere with me. I was shooting consistently and teaching myself to 'see' like I had never seen before. These cameras have an amazing way of making you want to pick them up and shoot, as well as feeling like an extension of yourself while you are shooting, leaving just you and the subject to make a connection. Not only that, but Photoshop has always been my darkroom. In my eyes, that process is just as integral as capturing. Over time I began to develop my style, and it had everything to do with contrast and tonality. But, when I began shooting with the X Series, color theory worked its way in. I saw the importance and beauty in defining my own color palette to my images, based entirely on the film simulation modes. Their glass is absolutely breathtaking. From contrast to sharpness and lack of chromatic aberration – I was blown away. I spent a large part of my early career as a 'pixel peeper', jumping from lens to lens to figure out the ones that worked for me. But I didn’t even have to think about that stuff when it came to XF glass. It was understood that the performance was going to be everything I expected it to be. Early on, my favorite lens was the XF10-24mm f/4 R OIS, but lately my go-to has become the XF50-140mm f/2.8 R LM OIS WR as it allows me to step back and be very selective with my compositions. When you look back at your growth as a photographer, can you identify two bench marks where something you learned or experienced made a significant difference in your process or art? The first was definitely making the decision to focus on landscape photography over everything else. I knew that if I continued in the same direction, I was giving my photography career a shelf-life. Stepping away from being my own boss and picking up a full-time design job was the absolute best thing that I have ever done for myself as an artist. It really freed me up to do what I wanted to do and not have to 'sell my soul' for a paycheque. And it has paid off in ways that I could never have even imagined. The second is more recent. With the current climate of social media being king, it can be so easy to get caught up in the 'what can I do as an artist to get popular?' mindset. I am guilty of getting that way from time to time. It is human nature to want to be recognized for what you do, but all of that can be filled with emptiness. Growing as an artist is exponentially more important than growing a following, so get your priorities straight and go and have fun. Moments are sacred. It applies both to photographic moments, as well as life moments. Never get so caught up in the process of capture that you miss out on experiencing something for yourself. If you could sit down and share advice to yourself when you were first starting out, what would you say? Always follow your passion over the income stream. I can’t even imagine where I would be had I focused on landscape photography from the very get-go. But, trust me, you don’t want to be stuck in a situation where you are questioning whether you want to be a photographer or not. To someone starting out in photography and Fujifilm, what advice would you give? Shoot every possible thing that you can and shoot as often as you can. If you have to ask yourself “should I bring my camera with me?” you are doing it wrong. These cameras are ultra portable and infinitely capable. Don’t get too focused on shooting one particular way. I am drawn to big expansive landscape images, so I am constantly having to remind myself to look for the beauty in the small details. 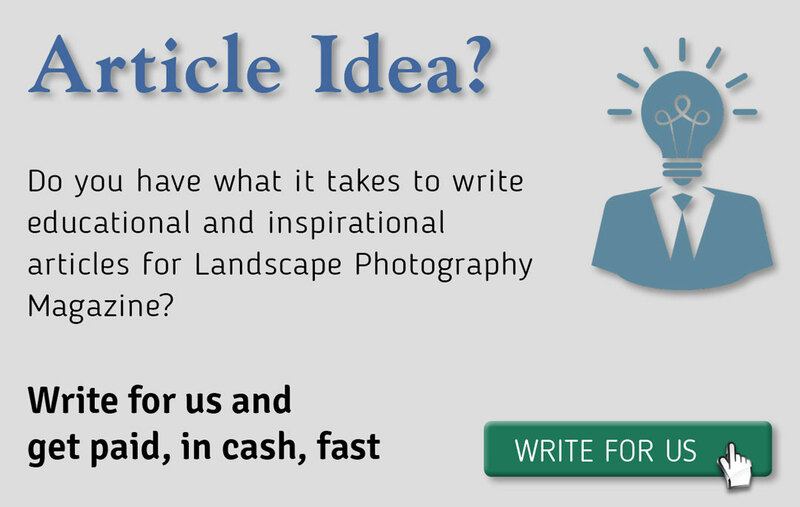 What advice would you give to someone who is considering turning photography into a profession? Be very guarded. My entire perspective on photography was changed by getting caught up in the pursuit of a paycheque. Creating art is a fragile process, we all have deep ties to our work. I am very strict about the clients that I work with now because I don’t want it to take away from the magic. But, if the profession is what you are really after, identify your weaknesses and surround yourself with people that are strong in those areas. You can’t and don’t want to do it all by yourself.